Now, both residents and tourists of Dubai can enjoy unmatched views of the city and its surroundings at level 148 of the world's tallest man-made structure, Burj Khalifa. They can also choose to experience the touch of a refreshing breeze from an outdoor terrace, or make themselves comfortable in a premium lounge. All these experiences await visitors at the brand new observation deck, which has been recently unveiled by Burj Khalifa's developers. 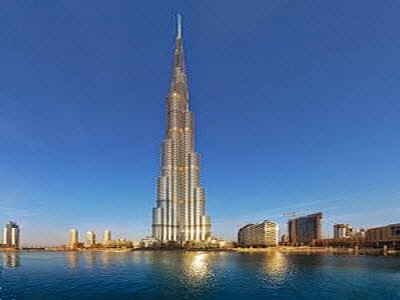 It has been named 'At the Top, Burj Khalifa SKY'; which the tourists can explore after visiting its predecessor located at level 124, called 'At the Top, Burj Khalifa'. When Burj Khalifa was opened on 4th of January, 2010, it made Dubai the center of attraction across the globe. Its construction resulted mainly from the government's decision to expand the city's identity as an oil-based economy to that based on tourism and services. The building was constructed at a cost of 1.5 billion US Dollars and took six years to complete. When it was ready, it went on to break the existing records of tallest existing structure, tallest structure ever built, world's highest elevator installation, and many others. Now, with the opening of 'At the Top, Burj Khalifa SKY', it has left behind the observation deck of Canton Tower in China which held the previous record of being the world's highest observation deck. The new observation deck of Burj Khalifa is located at a height of 555 meters, and has become the newest tourist attraction of Dubai. Bookings of all inclusive family vacations to Dubai are all set to soar with the introduction of this observation deck. Visitors can begin their journey to this amazing observation deck from the reception at The Dubai Mall's lower ground floor. They would also be pampered with dates and Arabic coffee at an exclusive luxury lounge by a 'Guest Ambassador'.